The Wisconsin State Senate Public Safety Committee passed a bill allowing for concealed carry of firearms without a permit, eliminating prohibition of unauthorized carrying in specified places, including school buildings. 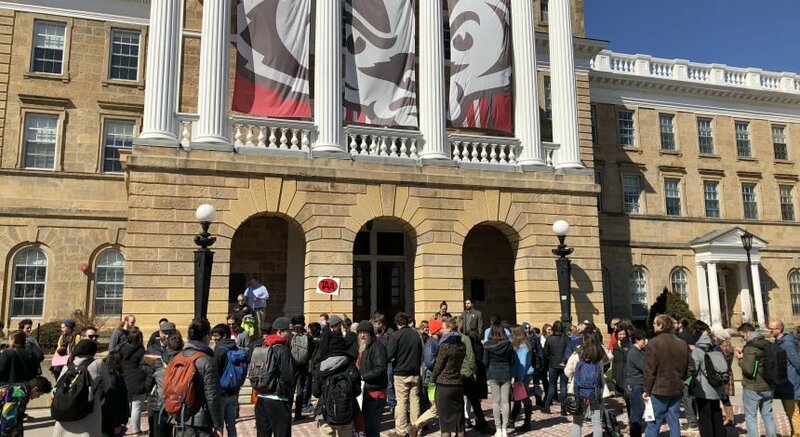 This has raised alarm in the Associated Students of Madison’s Legislative Affairs Committee, who have organized a whiteboard campaign rally on Library Mall to oppose the bill. 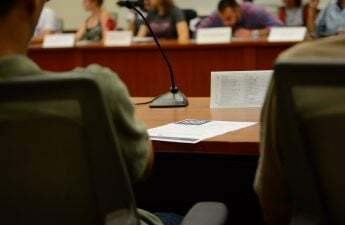 While Bill 169 still allows schools and buildings to forbid concealed carry on campus, many students, such Legislative Affairs chair Katherine Kerwin, are still concerned about the safety of college campuses. 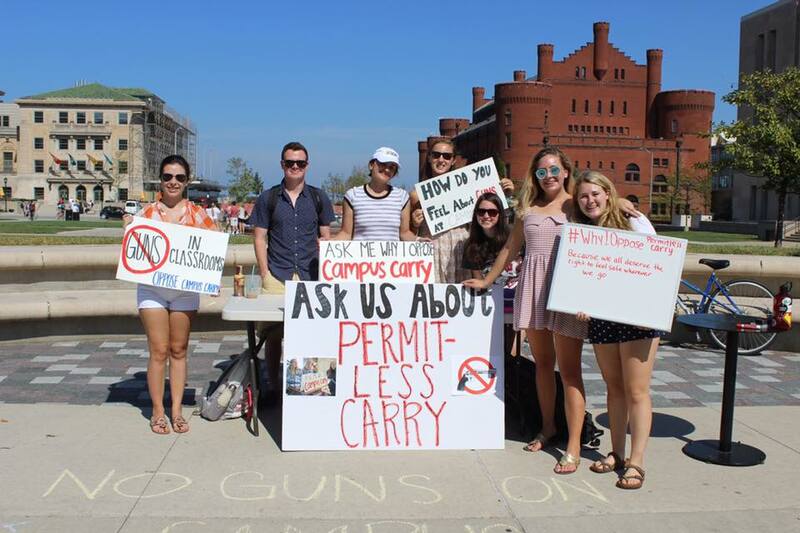 “Passing the bill makes campus carry a much more viable option and could include an amendment that enforces the university to take down the ‘no guns on campus’ signs,” Kerwin said. According to the Journal Sentinel, punishment for unauthorized carry on school grounds under the bill would be comparable to receiving a fine for a traffic ticket. For the bill to become law, it must be passed by the State Senate and Assembly, and then signed by Gov. Scott Walker. 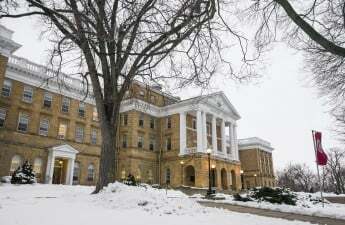 While the effect would not happen for some time, ASM still stresses the importance of educating students on legislation that they argue will most likely affect the UW campus, Rep. Kelly Ward said. “We had a lot of people who were not necessarily aware that permitless campus carry had even been proposed,” Ward said. Opposition to the campaign was minimal, which Ward said was surprising. Those who attended the campaign were encouraged to bring whiteboards displaying their motivations for opposing the bill. “They’re trying to raise awareness because although right now it would not impact campus, the bill as a whole is pretty detrimental to the state,” Kerwin said.